Jordan Brand is expected to make headlines in February with the release of a kick that will surely be one of the hottest items in the global sneaker market next month. JB will return to its Roman Numeral roots and will release the Air Jordan XX8, which is significantly different from past JB kicks. 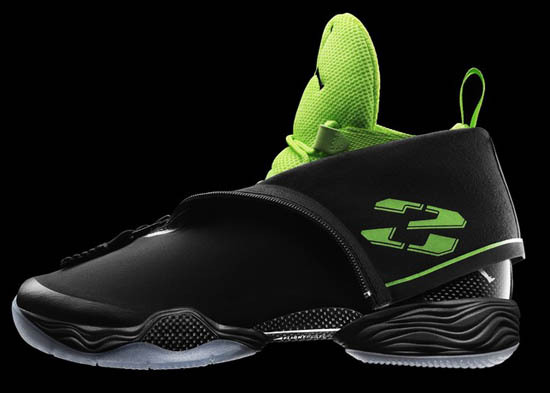 The new kick will feature a full-length Zoom Unit that was further enhanced with the new “Jordan Flight Plate” that provides distance between the Zoom Air bags. The shoe will also feature a much-improve foot security with the application of the JB’s Dynamic Foot technology. This impressive kick will hit shelves in a “Black/Volt” edition on February 16 worldwide – a day after its special release in the 2013 NBA All-Star Weekend in Houston.